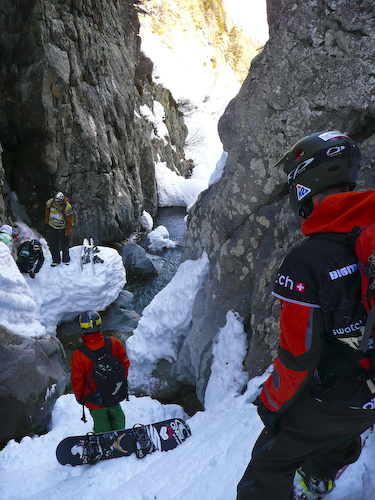 The last stop of the big air tour was in Valmalenco, Italy. The only jump in a skiresort on the tour this year was the stage for young Norwegian riders. End of March they were obviously in good form. Switch back 1260 and a backside 1260 were the winning jumps for Kim Rune Hansen and Gjermund Braaten. I got 3rd with a cab 1080. Landing a nice 10 on the last jump of a very successful tour for me made me happy!! Friday afternoon, just when the qualification was over and a lot of people left the park already, one of the best sessions in a snowboardpark started. The sun came out and softened up a perfectly shaped kickerline. It was some of the best freestyle snowboarding which I have ever done. The motivation was up and smiles all over the faces of the Ästhetiker and everybody who rode. We did good tricks, a couple of 1080, but it was just about riding with friends in perfect conditions and enjoying the airtime. Days like this are rare. We will remember that for a long time. One the competition day the weather was unfortunately not very good. But we did one run on the 3 kickers and a jib run. Considering the conditions the riding was solid but not quite as good as the day before. Andreas Gidlund of Sweden won the TTR 5 star event and a brandnew motorbike. I got 4th and won the special award for the best kicker line. 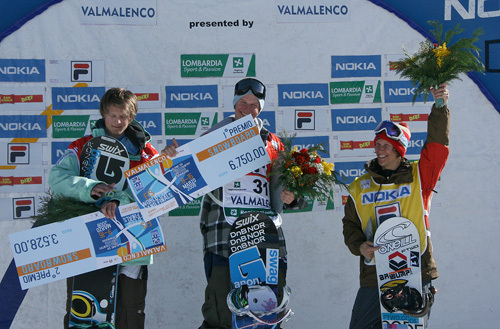 Those couple of days of contest here in Mayrhofen were great. Good people, riding with friends and drinking a beer at the end was epic. Last week I participated in the Big Mountain Pro. 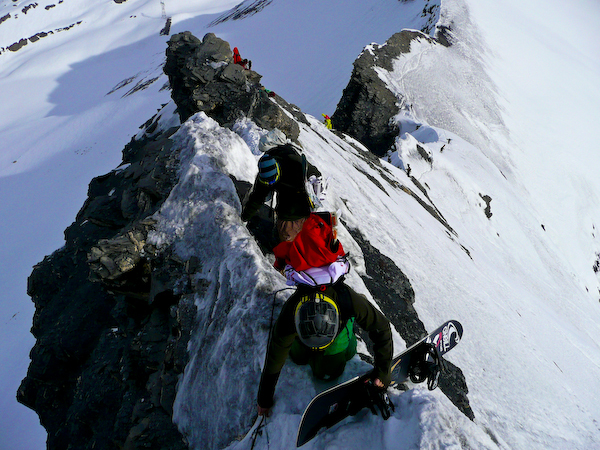 A mobile freeride contest. We travelled with a bus through the Alps and rode step faces. The snow conditions were not great but on the first day we found some great snow near Chamonix in France. The mountain we rode down is called Le Buet. 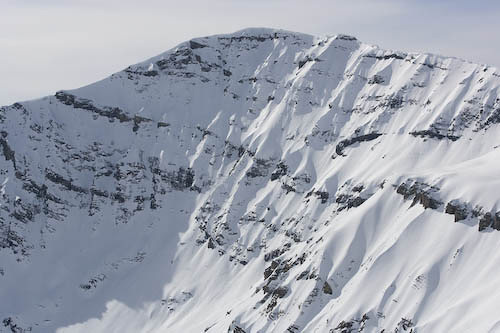 We flew up near the face wth the heli to inspect the mountain and to choose our lines. Then we hiked up to the peak. The hike was already adventurous. Pretty step but it paid of. The run down was good. Long. About 600 meters of vertical drop. Le Buet. The first face we rode. on the way down from the run we ended up in a canyon. We had to jump from one rock to the other using our board as a pole to make more distance. Somehow we made it out dry. All the freeriders were stoked. They said it was the best face they ever rode in a competition. Some of them had mind-blowing runs down that mountain. I was impressed how fast some of them can ride in these faces and conditions. 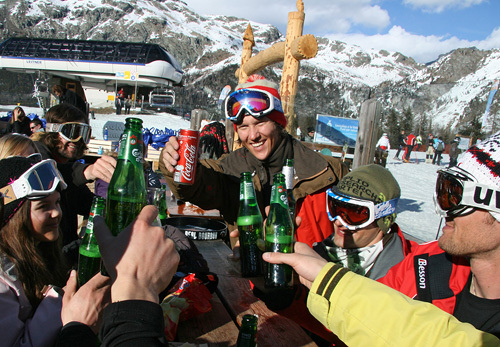 (especially Jeremy Jones and Xavier de la Rue). They won the comp in the end as well in front of my fellow Austrian Mitch Tölderer. The rest of the trip was not very good snowboarding wise. But we had good times travelling an a lot!! of fun. It has such a good crew.